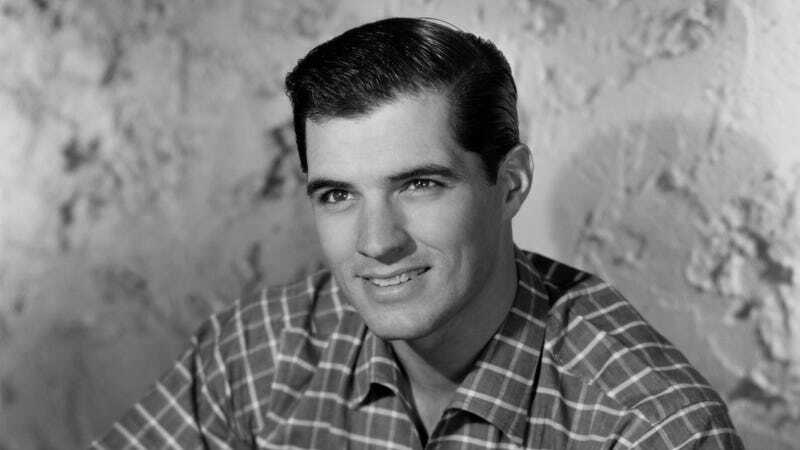 As reported by The New York Times, actor John Gavin—best known for his roles in Psycho and Spartacus, as well as a five-year stint as Ronald Reagan’s U.S. ambassador to Mexico—has died. No cause of death was given, but Gavin “had been ill for months.” He was 86. Gavin never studied acting or seemed to have much interest in it at first, but after his time in the Navy during the Korean War in the ‘50s, he offered to work with a family friend who was producing a movie about the ship he served on. Instead, the producer lined him up with a screen test at Universal Pictures, which immediately saw a potential new leading man in Gavin. He quickly found fame working with director Douglas Sirk in the late-’50s, appearing in A Time To Love And A Time To Die and Imitation Of Life. He even had high-profile roles in Psycho and Spartacus—playing Sam Loomis in the former and Julius Caesar in the latter. Unfortunately, Gavin’s movie roles began to dry up over some negative reviews of his performances, so he began to transition into TV with roles on Destry and Covoy. He almost made a major return to the movie world in 1971 when United Artists chose him to replace George Lazenby as James Bond in Diamonds Are Forever, but the studio eventually gave the part to Sean Connery instead. History repeated itself in 1973 when he was almost picked to play Bond in Live And Let Die, but he lost out to Roger Moore that time. Gavin became more interested in politics in the ‘70s, serving as the president of the Screen Actors Guild from 1971 to 1973, but he gained even more authority in 1981 when Ronald Reagan named him the U.S. ambassador to Mexico. The move was controversial, since Gavin was perceived as an unqualified appointee who only got the job because of his contributions to Reagan’s campaign, and his relationship with the Mexican government was frigid for most of his time in the position. Following a number of scandals, including an instance in which he noted that it was “extremely fortunate” that the devastating 1985 earthquake in Mexico hadn’t impacted more of the hotels that American citizens “normally frequented,” he quietly resigned. Gavin is survived by his wife, Constance Towers, and his children.